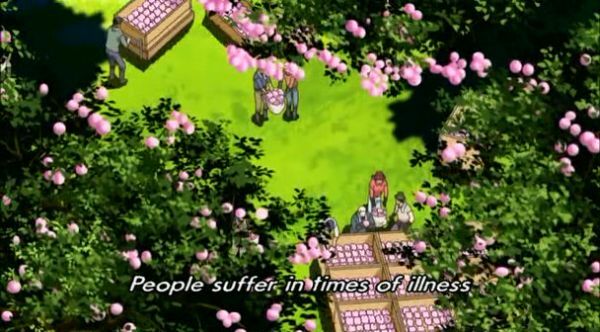 People suffer in times of illness. But don’t worry, Happy Science is here to rescue you from 70% of it! And they actually have a point. One thing I am not too fond of about the Japanese religious movement Happy Science, is that only a tiny fraction of their books are translated from Japanese, and of these many are only available at their temples, which presumably means only to members. Being secretive is how you get a reputation for being a dangerous cult, after all. On the other hand, I can understand them sometimes. One of the restricted books is about health and healing, for instance. Now, even in their official literature, Ryoho Okawa (their authority on absolutely everything) claims that 70% of physical illness originates in the mind. As such, he recommends self-reflection to cure most illnesses, including cancer, since this (properly done) will remove the psychological factors that lead to illness. You can imagine what would happen if someone in America actually skipped cancer treatment and decided to heal herself purely with self-reflection… and died anyway. Â Unbelieving relatives would sue for tens, if not hundreds, of millions of dollars. That’s just the way American society works: Americans are the world champions of litigation, after all. So I can understand their caution. Nevertheless, I think even contemporary science will agree with Mr Okawa in general. He specifically includes such factors as smoking and alcohol, but also overworking, lack of sleep and other stress-related triggers. If we add all those up, not just the actual placebo / nocebo effect, 70% seems a pretty conservative number. Of course, even the most mentally healthy person will die eventually, and there are various genetic diseases that need no trigger but will manifest automatically. So unlike some religious sects in the west, Happy Science does not promise physical immortality to the faithful. Nor do they condemn the sick as evil – in fact, Mr Okawa says right out that good people are more disposed for certain illnesses. Also unlike many western sects, faith as such has only a limited role here. What counts is to look objectively at our life (this is what self-reflection is about, it is not about blaming ourselves as I thought when I was younger). And then correct the mind, straighten out the mistakes and begin to think in a better way. Of course, this is not something that is done in five minutes. It is a lifelong project in one sense. But it will never start at all if we spend our life blaming others or fate or God or the Devil. If you have faith in God or Buddha or Jesus Christ, then you should do what they tell you, right? To say “I have so much faith” and not really care what Jesus actually tried to tell people, that is not faith. Jesus said that he did not know where these people came from, who didn’t actually do as he said. So faith in our faith is of limited value, it would seem. Back to Happy Science. In their monthly magazine issue 207, there is a story about a woman who decided to forgo chemotherapy for her breast cancer, and instead heal herself. This was successful, which is probably why it appeared in the magazine. Somehow I suspect they would have been far less inclined to publish a story in which the protagonist died. Anyway, her cancer gradually disappeared, to the amazement of the doctors. Good on her! But if you are a member of Happy Science and you read that story and what you take away is “Master does not want us to go to hospitals for treatment”, then you have not understood – in fact, you will in a sense have less understanding than you started with! If you want to follow a religion in a way that actually impacts your life, then you must study it in more detail, and if you do not understand it, you must ask those who have a greater understanding of the Truth, people who for some reason are more spiritually advanced than yourself. Don’t just think whatever idea pops into your head is the right one. It could be worse. If you read a story like this and think “I also want to become famous”, or “I want everyone to see how good a believer I am”, then you are actually hurting yourself. This is not hard to understand. When you try to put yourself up above other people, this is the kind of thinking that demons have. The story of Satan tells how he could not bear being less than number one, and this was his downfall. Whether you take that literally or not, it is certainly a word of caution. Don’t use your religion to play cool. Or your health, for that matter. Let us treat it as a gift and a way to be useful to others. Now, the woman in that story did not just reflect on herself. She changed her life. She began to eat healthy food and exercise vigorously. I am not sure how this affects breast cancer, but I know that in men, vigorous exercise for more than three hours a week can stop or slow down about half of prostate cancers, apart from any other intervention. Â So we are not talking about some kind of “Harry Potter magic” here, but about living life in the way we humans were created to live. And that’s the thing, is it not? You don’t need to be God to have an idea about how humans should live, although I suppose it wouldn’t hurt… Anyway, I’m not telling you to fall down and worship Ryuho Okawa. I personally don’t. But I think Happy Science’s public teachings on health could have a natural place in school textbooks and popular science and lifestyle magazines. The world would almost certainly be better for it.